Our old central air conditioner with natural gas furnace wasn’t doing well. It was leaking refrigerant, and we needed to add refrigerant every years. The leak was not repairable. It was leaking within the condenser coil. 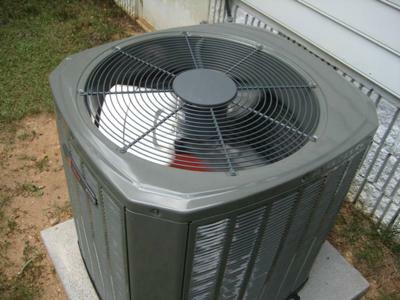 I would keep the Trane central air conditioner for the next 30 years if it has leaks in the joint of the copper. We call and ask four different service companies to add refrigerant to our central ac unit, and they all need to charge us troubleshooting fee to charge our central ac unit. Their troubleshooting fee is from 70 – 95 dollar on business hours. I was like, I need you guy to add refrigerant, and I already know the problem. They insist the fee is mandatory – not matter, if I know the problem or not or if they fix the problem or not. That fee is just to get the truck in my front yards. This is just too expensive. It awesome if we could tell the technician our central ac is leaking and we just want you to add refrigerant, and they would add Freon without the fee. Nowadays, everyone is trying hard to avoid the extra cost. By the way, the Freon cost is per pound, the technician charge us 54 dollar per pound for Freon. 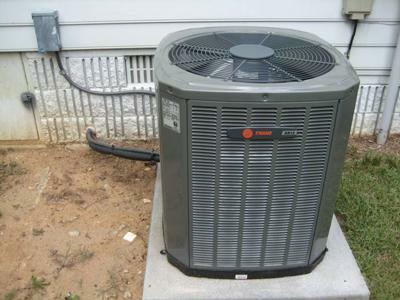 Our Trane HVAC is old and it by far the best central ac unit we had. The newly central air conditioner cost us exactly 6, 000 dollar. We have a payment plan with the contractor. We had the contractor replace the outside unit and the inside unit without the duct system for 6 grand. This is with a new furnace unit. The contractor was telling us our new Trane XD13 (something) will save us money. I understand the old HVAC does not live up the government energy standard. As the technician said, old central ac unit will not save on energy. We had done our research before we buy this central ac unit. There is complaints amount homeowners, new HVAC may have met the government energy standard, but it doesn’t seem to last longer. What is the reason of paying money for a HVAC unit that meet government energy standard and it would not last more than 5 years without problem. That is just wasting money. My old Trane central ac unit didn’t meet government new energy standard, but at less it last more than 23 years. The price of the HVAC is going up and the quality is going downhill fast. Some HVAC Company is design a high efficient energy unit that does not seem to last more than 6 years. If I was to look at it from HVAC Manufacture Company perspective, I kind of understand it. 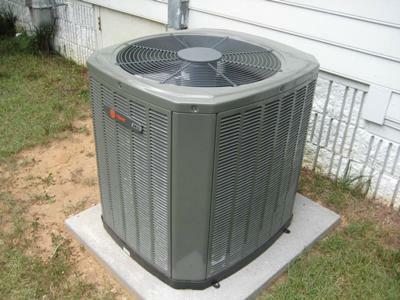 There business is to sell HVAC unit indirectly or directly to homeowners and larger business. If they are not selling HVAC unit, they are not making money. They are trying to make money from us no matter what the cost to their customer. Homeowner is just one household, and it does not bother than. 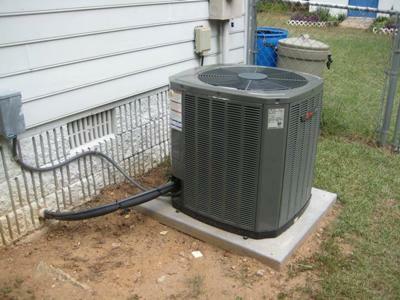 HVAC manufacture real customer is not the homeowners; it is the HVAC Service Company. If we have a central ac unit or furnace unit that is faulty, HVAC manufacture won’t take the heat, they will just point finger at the Service Company, who installs or fix our central ac unit. Some service company will not take responsibility, and we are at the middle of two company pointing finger war at each other. What can we do (as a single household) to large HVAC manufacture company or service company? Pretty much nothing, we become one of their financial victims. We are at lost with money, time and with incorrect HVAC unit. We can sue, and the large company will just drag the case into longer time frame, and we again at lost. As a group, we can do something. Sorry for digress; it just make me mad to know that my newly high energy efficient central ac unit may not last more than 5 years without problem. Do your research before hiring and buying central ac unit and furnace unit. Our central ac unit supposed to last more than 5 years within leaks and other problem. It will be awesome if there is high energy efficient HVAC that could last more than 23 years as my old Trane unit. I read a lot great review; I just hope I return the valve to all the other homeowners. Good to hear this, all the best. We replaced the outdoor ac and the indoor furnace for about $4,800 about 1.5 years ago. We got it done with Service Experts. We got a Lennox 2 ton 13 seer central air conditioner. Getting a second one done within the next week for nearly the same price. This is in Raleigh, NC. We purchased a central ac package from Sears in June 2010 and have been getting a run around due to a faulty TXV valve. The unit in our attic needs this valve in order to function properly. So far after 3 full days (from 9 am to 11) pm we still do not have our AC. Our installers have been wonderful. Working in the 150 degrees that the attic was on the 90 degree weather we had. The salesman has been in hiding and the head of the department has no answers for us. He actually stuttered while on the phone telling us that the TXV Valve was not available for 4 weeks. Needless to say we are not happy with Sears Home Inprovements! !